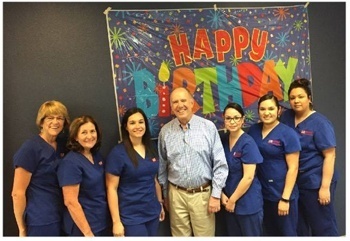 Dr. Mark Givan and his team of six talented assistants and hygienists work together to provide truly superior dental care for friends and families in Fort Worth. Excellence in dentistry requires a real team effort -- and that’s what we excel at. From the moment you call to schedule an appointment and speak with Candace, Misty or any of our other team members, we know you’ll notice the difference that friendly, personalized treatment can make. And that’s what you can expect every time you visit our modern dental practice. We invite you to take a few moments to browse through our bios and learn more about the friendly faces that make our office run.